Will you be in tribal prints this summer? Very nice...I love the ethnic vibe and tribal prints. Your outfits are just beautiful...it's inspiring to see how you put the outfits together. I won't be wearing them not unless I come and wear your wardrobe!! Your two outfits are really beautiful! I think the dress is a great example of tribal prints! And what a good fit on you. The colors in the tunic are beautiful, too, Sharon! I recently thrifted a long piece of tribal cloth. When I spent time in Burkina Faso years ago, I purchased several.of them. They are worn wrapped around the waist as a skirt. (I can't remember the name of the garment/style.) If I can find a top to wear with my recently purchased one, I'll wear it soon. How cool. Love them both. I love tribal prints and that French Connection tunic is absolutely stunning on you, what a bargain! I can't believe that wrap dress is New Look, it look pure class on your elegant figure. As always I prefer your interpretation of fashion to the catwalk version, you are one inspiring lady. Cannot believe this, Sharon, 50p? Looks fab. I will only do tribal if I can find a dress like at that price!!!! Ciao. A.
Super stylish. 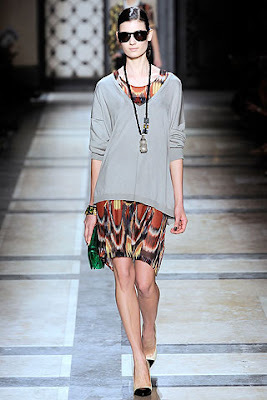 I especially love the Ikat print tunic. With gorgeous legs like yours you could also wear it as a mini dress, I think. 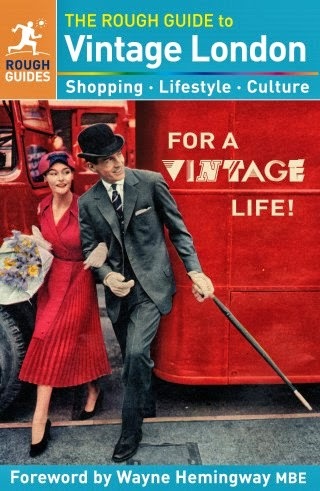 i love both your purchases! i also found similar top in a second hand store. spring, hurry up so we can wear our prints outdoors! The wrap dress looks fantastic on you! The print on your tunic is really cool. Hi everyone-thanks to you all for your kind and lovely comments!! Amazing inspiration, Sharon. Love the last top! yes ma'am! i usually don't like prints, but i would like to find a good tribal print myself. 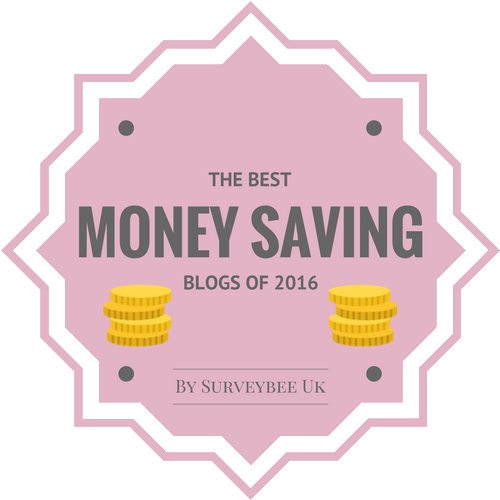 Gosh you do so well in your thrifting - do you bargain down the prices at car boots? Lovely items as usual! I adore that last tunic... such a perfect blast of color for summer! girl you look amazing in tribal print ! i dont know if i have the guts to try it out, but i love it on you ! Oooh you look lovely Sharon! I love prints and I may...or may not have to purchase a bit of tribal print myself this summer! Hi Sharon, I love that first look re tribal prints. 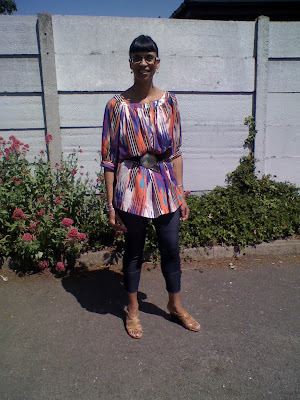 I'm not sure if I'll be in tribal prints this summer but I'm sure I'll be wearing something - hehe! Thanks, though I don't see you in my followers list..
Hi, I just stumpled upon your blog and I am super impressed with your bargain hunting abilities!! I LOVE tribal prints!! If I can find any clothes like this around here I'll definitely be wearing them. I adore your FC tunic! Gorgeous print. Years ago a university friend brought me back a gorgeous tunic from Africa with a vibrant tribal print. I wore that *so* much it wore out. I wish I could get another one. Hi everyone-thanks so much for all your lovely comments, they are very much appreciated and I hope you all have a good week ahead too! Hey sharon, I love that tribal print top and the wrap dress is a winner! 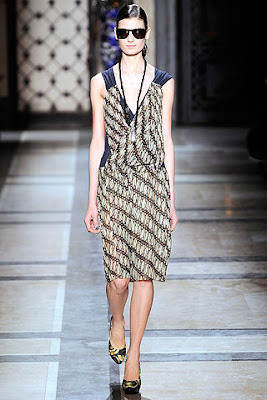 The tribal prints called "BATIK", it is Indonesian heritage and so proud Dries Van Noten brought it to the runway.